ERZURUM, TURKEY. 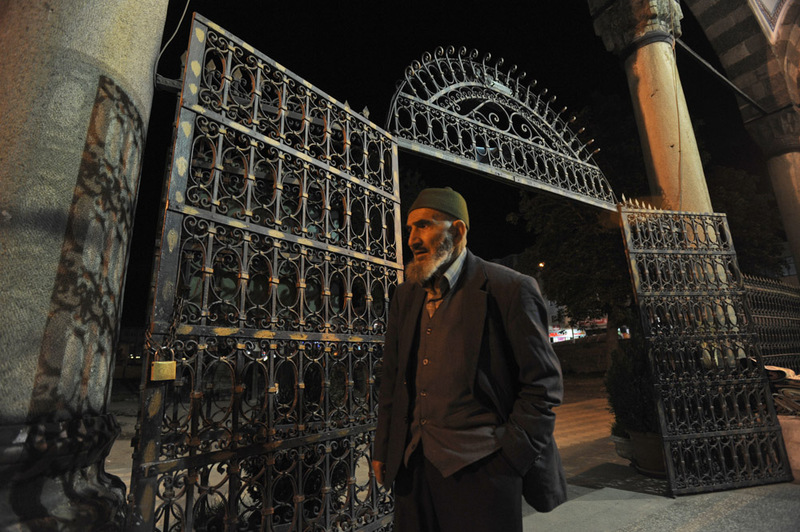 A man enters the Lala Pasha Mosque before evening prayer on the first night of Ramadan on August 11, 2010. Erzurum is the first major city near the route of the Baku-Tbilisi-Ceyhan oil pipeline in Turkey, located just 10 kilometers from the pipeline which traverses numerous villages near the city's airport.